Most people who are really health and body conscious would only strive to be a vegetarian and avoid meat. Some would avoid from indulging in vices like liquor and cigars. Some would prefer not to eat anything sweet or fattening. Following and maintaining a healthy lifestyle actually depends on the person’s choice of system. While others are into the conventional style of living healthy and fit, the renowned social network Facebook’s chief executive Mark Zuckerberg chose to be beyond mediocrity. He brought his choice of diet to the next level-by eating only the meat of those he had captured in Bison hunting. While others capture and kill Bison and other wild species for leisure purposes, Zuckerberg surely brought a new purpose for keeping his adrenaline rush flowing in the wild. With a shooting license as support to his one-of-a-kind hobby, Zuckerberg is now into Bison hunting to bring meat and protein to his dinner table. The young and renowned chief executive has proclaimed that the meat of a Bison is indeed sweet and tender-scrumptious beyond the conventional meat that could be found in the market. Not only that, but it was also news that the Bison’s meat is lower in fat and cholesterol as compared to the other sources of protein. Indeed, a real source of adrenaline rush and once in a lifetime experience plus a good source of protein, Bison is surely a must-catch-literally. Not only that, but given the fact that Zuckerberg himself was the one who captured and killed the beast, he is precise about it being a clean kill and with no double dead meat to be laid on his dinner table. Way back in May, Zuckerberg said in an interview that he has been eating much healthier food. Not only that, it was also a revelation that he has learned to follow a healthy diet because of his newly acquired understanding of sustainable living and the raising of animals. Indeed, he can fully understand the implications when he knows the sources. Zuckerberg also quoted that it is easy to take food for granted when you can buy or have it delivered easily. Bison has been said to be the largest land mamal in North America. With its maximum height of 6.5 feet and length up to the massive 12.5 feet, not to mention the weight being 2000 pounds, it is a monster. Just imagine the amount of protein you could get in that one great catch. Sustainable living does not mean leading a boring or strict life. You can also work hard and enjoy a sustainable diet by indulging in Bison hunting. Explore your hunting skills, take it to the next level while never missing the fact that you too, should take care of your own health. Put your adrenaline to the test and enjoy this one of a kind edible trophy. 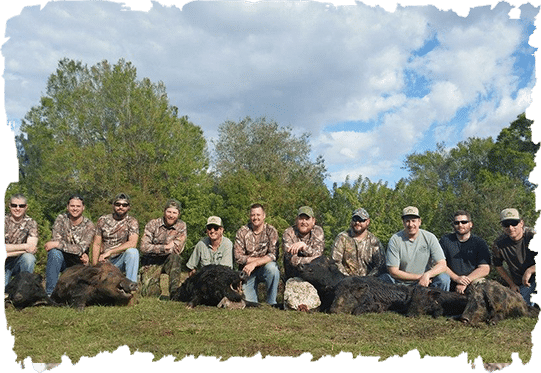 Call Alligator Alley Outfitters now 239-243-9663 for a better burger.